While the adoption of public cloud has grown exponentially in recent years, many organisations prefer to go the private cloud route for reasons ranging from governance and security requirements or making use of existing on-site infrastructure; to enable greater levels of flexibility and agility. However, building a private cloud from scratch can be difficult. According to Lauren E. Nelson, a principal analyst and private infrastructure-as-a-service cloud lead at Forrester Research, around 82% of mid-sized enterprises that try to build a private cloud battle to do so. They tend to fall short in key areas such as self-service, automated provisioning and tracking and monitoring. 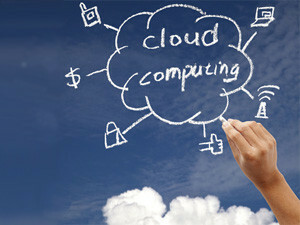 An alternative which is rapidly growing in popularity is Virtual Private Cloud (VPC). According to Andrew Cruise, MD of Routed, SA's first neutral cloud infrastructure provider, VPC is alive and thriving in South Africa. "Typically, organisations like Vodacom, Routed and RSAWEB, among others, deliver VPC on the VMWare vCloud Director stack and often include managed services from the likes of IS, Vox, Silicon Sky and Clarotech. However, there are also scattered examples of VPC being delivered on Openstack, Cloudstack (Adept Internet) or OnApp Cloud (VPS Networks)," Cruise said. Kemlyn Pillay, head of operations at Geek Patrol, a division of Durban-based ecosystem immedia, described VPC as a Virtual Private Network on cloud infrastructure. "Just as a VPN creates a private connectivity tunnel through the public Internet, a VPC provides secure data between private enterprise and public cloud inside the cloud provider's infrastructure," Pillay explained. Private clouds are traditionally dedicated physical resources that are administered offsite in the cloud by a cloud/managed services provider and are built to a single organisation's requirements. Public clouds are multi-tenant and resources are purchased from a shared pool. A VPC essentially bridges the gap between the two - able to communicate on a multitenant basis but is customisable to single organisations requirements. "Performance requirements are shared across tenants so that the users don't feel a change in performance and the resources are more easily scaled as opposed to the private cloud where resources are pre-purchased," Pillay explained. 1. Security - Data is encrypted and routing policies can be enforced for greater control on access to the data by users. 2. Performance - applications are able to function without being exposed to the public Internet and cloud and also can be prioritised across the VPC for enhanced performance on certain applications. 3. Efficiency - usage is on demand and doesn't route through the regular network channels internally and externally. Internal traffic isn't affected when VPC data is also being transmitted. Tom Wells, Executive Director, Johannesburg-based Synthesis Software Technologies, agreed. He said that as an an advanced feature offered by some public cloud providers (such as Amazon Web Services), VPC not only enabled customers to dedicate a portion of the public infrastructure for their own private use, but also to define very high levels of security and connectivity as well as which services they wish to provision into their dedicated VPC. Routed's Cruise said enterprises were typically using VPC for hosting internal business critical workloads such as databases on Microsoft SQL Server, CRM systems, SharePoint and Exchange and so on; as well as for hosting large high performance websites.